A 2016 study at the University of Southern California’s Brain and Creativity Institute found that musical experiences in childhood can actually accelerate brain development, particularly in the areas of language acquisition and reading skills. But academic achievement isn’t the only benefit of music education and exposure. Music ignites all areas of child development and skills for school readiness: intellectual, social and emotional, motor, language, and overall literacy. It helps the body and the mind work together. Exposing children to music during early development helps them learn the sounds and meanings of words. Dancing to music helps children build motor skills while allowing them to practice self-expression. For children and adults, music helps strengthen memory skills. In addition to the developmental benefits of music, why is music important? Simply put, it provides joy and enriches our lives! According to the National Association of Music Merchants Foundation (NAMM Foundation), learning to play an instrument can improve mathematical learning and even increase SAT scores. Additionally, learning music can help with applying to prestigious High Schools and Colleges. Many Scholarships grant opportunities to High School and College students involved in music education and music performance. 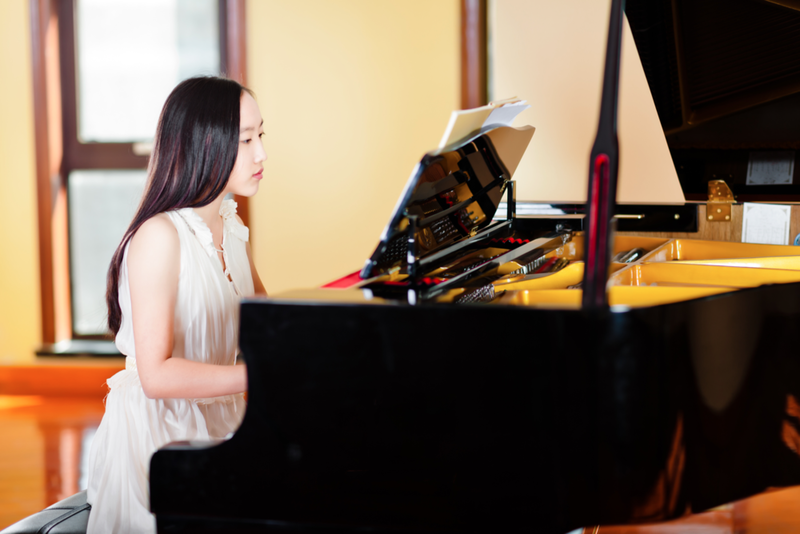 Every year, Opus 1 Students apply for High School or Colleges and list their musical achievements in their essays (Years of studying music, Performances / Recitals attended, Exam Grade Level achieved, Competitions etc.). Playing an instrument as a child leads to a sharper mind in old age, according to a new study conducted by Brenda Hanna-Pladdy, a clinical neuropsychologist in Emory’s Department of neurology, and her colleagues. (Quoted in Diane Cole, "Your Aging Brain Will Be in Better Shape If You've Taken Music Lessons," National Geographic, January 3, 2014). (Arts in Aging report from the National Endowment for the Arts).